Mentougou Traditional Chinese Medicine Hospital has a studio named as "torch inheritance 3 + 3 studio" by Traditional Chinese Medicine Office of Beijing, as well as two talents awarded as Class Ⅲ talents ("125" talents) in the third batch of Beijing Traditional Chinese Medicine Training Program. 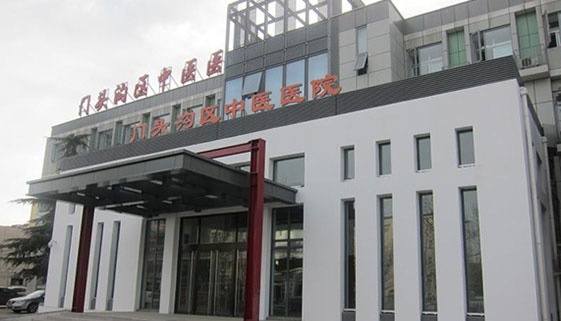 Orthopedic trauma has been approved by Traditional Chinese Medicine Office of Beijing as a key priority specialty, at the same time it has been awarded the title of TCM specialty of National Rural Medical Institution. Encephalopathy is key specialty in the hospital, which was approved as "125" key specialty and national key specialist encephalopathy collaboration group members by Beijing Traditional Chinese Medicine Office Beijing in 2012. Diabetes department is one of the characteristic departments which combining traditional Chinese and western medicine, and the Diabetes Center of the Mentougou. The homemade live blood paintwork ointment (plasters) in the Mentougou TCM Hospital was approved by Beijing Food and Drug Administration as the hospital preparations and obtained the national patent.